i hope everythings okay and whatever you're going through can be over with soon. I wish you the best, and know that we are all here for you! My prayers are with you...take all the time you need, we will be right behind you. Not sure what you are going through, but nothing is ever easy or fair. Life is tough on us sometimes and we just have to try and get up and live because life is too short. You are a beautiful woman and from what can tell with a good heart. You deserve a man to make you happy and be by your side through these troubling times. I wish you the best. 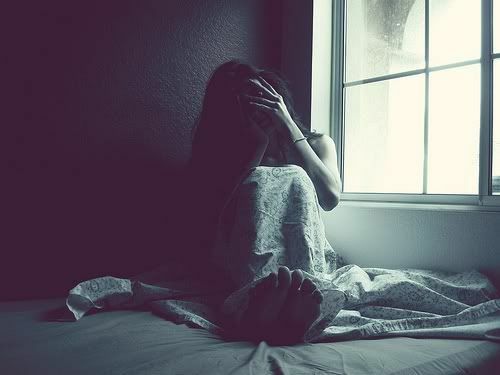 Hi Delmy, I'm sorry to hear you're hurting, I'm hurting too...just feel so alone. But I have hope and I'm glad you do too - I know you'll be rockin an outfit for us in no time - and hopefully a big smile too!!! Oh no :( I hope everything gets better soon. Just remember that God hears all of your prayers, but that we are on His time. I am almost positive this isn't your first tribulation, so God brought you through your past ones and He will bring you through this one. He doesn't bring you to it not to see you through it. Just trust in Him, pull all your faith in His word, you really have to let go and Let God. If you're gonna pray don't worry, but if you're gonna worry don't pray. You seem like a very strong individual and I will pray for you as well!!! I think you wore it first. IF GOD BRINGS YOU TO IT, HE WILL BRING YOU THROUGH IT! HE'LL NEVER PUT MORE ON YOU THAN YOU CAN BARE...SO GO ALL THE WAY THROUGH THIS THING AND GET READY TO REJOICE B/C IT'S ALL FOR YOUR GOOD. I will pray for you Delmy. Hi Delmy. Are you okay? It seems like you're sad and depress over something. I'm sure if you pray to Him, he'll give you enough strength that you need to go through these hard times. I don't know what it is but I understand how difficult it is to go through a very tough phase of life. Been there and still there. I'm sure you're a strong girl. He will answer your prayers. Just hang on, girl. Everything will be just fine. Aww, Delmy :-(...I'll keep you in my prayers and thoughts...I just got over a really tough time in my life..just remember there is light at the end of a tunnel..
hope things get better love, no one wants to see your beautiful face sad! Well its not really a question but a request lol. Can you do a makeup tutorial soon lol. What clothing stores do you shop at thats affordable. Also I notice that you were blazers alot so if they ever got out of style would you not where them either. Where do you get your idea from when picking a outfit to wear for the day. Dios nos pone pruebas de las cuales el sabe que tenemos la fuerza de sobre pasarlas! I don't know what you're going through, but I'm hoping you can get the peace you want and need. I'm sorry you're hurting, but you're not alone. There are many women and girls out in cyber-world praying with and for you. i'm sorry to hear that you're hurting delmy... just know that whatever you are going through now will only make you stronger in the future. my prayers go out to you... i know you'll pull through so take all the time you need. my questions for you: how did you become so involved with fashion? what is the first thing you think about when picking out an outfit for the day? and do you go against the weather forecast when choosing an outfit? feel better hun... hope to hear from you! it's a beautiful photo and i hope things get better soon. Delmy, I hope that whatever it is that you are going through, I hope you feel better soon, and that you know that you WILL pull through it! questions: do/did you go to school ? if so, where ? which make up company do you work for? or what is your occupation? since you've said you're a religious person i hope that your faith will help you through this tough time. I hope you feel better. With time, things will heal. Good luck! Sweety,I hope things will get better soon!!! what sizes are you? i like that you aren't skinny and am just curious. Also I am sending you positive vibes and wishes. I've been feeling blue too. Your not alone in your feelings. I pray that God will give you the strength to go on despite your troubles. Here's my question, I want to be a make up artist, but I dont know how to start out with learning the craft. How did you start, what did you do to start? Thanks in advance. Well, just wanted to say that there is anything which u can not go through! I dont know what problem u have but u will see-> it will go away soon or later. enjoy ur life, we should use each day and woke up with smile thinking- Im alive. I got know yesterday i have cancer again,second time just after 6 months chemio. and im only 21. but im not going to cry and be depressed. Life is too short! So get up and smile, I wish u understood what i wanted say, just sorry for my english, im from Poland. I hope these comments bring you some joy...and do enjoy the finer points to life...like a really good coffee and a blissful day. It may not solve the problem but will hopefully make you feel better. It's always hard to know what to say and we all have different ways of dealing with our own things. So I just wanted to let you know that you're not alone and during this time, whatever it may be, surround yourself with your family and always see yourself surrounded by light, the brightest of light! Question:What's your favorite drink to have on a sunny day? Do you ever leave the house without any makeup? Or its a must to have at least light makeup ? I hope good things come soon. It is good to pray when you have faith. I should pray more. 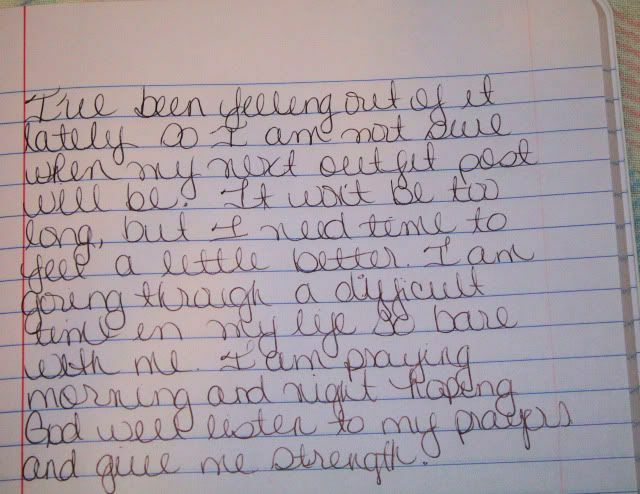 I pray you find strength too Delmy. You are an amazing, creative, wonderful person who is also strong inside. Delmy, I'm sorry to hear you're hurting, but I'm sure you will get over it, even though I dont know you I can tell you are strong enough.And anytime you feel lost, just think of all the people around the world who admires you just because who you are, that will make you find the strength to go on. God is with you and just as he as seen you in he will bring you out of this. All my support from Spain! hope you feel better!! don't worry about the blog.. there are more important things right now for you =) stay strong and take care! i will pray for you girl. hang in there! question: what is your motto in life? and what/who is your biggest inspiration? I can't thank you enough for the sweet wishes. I appreciate them very much. I will answer your questions on my next post. THANK YOU. How do you take all of these pics of yourself? Does someone take them for you? Do you use self timer? God always hears your prayers, even the silent ones. be blessed mama! "This too shall pass.."
Its these stupid difficult times that help make us who we are in the end. Hope it gets better for you. Question: Whats your favorite holiday? hey sweetie hope you feel better. I'm going through a hard time too. Of course I don't want to compare but I am hurting too. My question is what can I do to get over a break up? how do you get your eyebrows to look so flawless?! do you use a special pencil or powder?? you and cheap thrills have the best eyebrows ever!! I know times can get rough but hang in there it won't be like this for long. hugs!!! PLEASE feel bettter soon! and yes your eyebrows are fabulous. I hope everything is ok! I wish you the best! You're not alone in this and God always answers our prayers, it may not be the answer we want but HE works in mysterious ways. Do you speak Spanish in the house? Whatever you are going through hope you get over it and don't drag anyone else down with you. Hi Delmy! :( I hope you feel better. Time heals all and take as much time as you need. Everyone's different. Keep your head up! hey cuz! I heard your message last night. I was with P. Whats going on? call me. I'm worried about you. Remember God does not give us anything we can't handle. (((Delmy))) I hop you feel better, I said a prayer for you. where's your favorite place to visit? Well, I'm also interested to know who takes your pictures and what is one of your future goals? I found it kinda hard to understand your fancy writing, I used to write chunky like that, are you left handed?.. Anyways my Question is what ethnicity is your boyfriend? Me uno a tus oraciones. Dios te bendiga y te llene de fuerzas y alegrías! I am so sorry to hear that you r going thru a rough period. Trust me your not by urself! I am going thru some things too =( I hope you feel better soon! Oh! Espero que salgas de esto pronto sea cual sea tu problema. I think all of us will pray for you. No tengo ni un blog ni nada, pero siempre paso a ver tus posts...parece que nos has dejado claves en tu blog..una de esas claves es tu introduccion, y el tema de "novio" ya no esta...acaso tiene que ver con lo sentimental? as for a question; what is it about blogging you love most? Great style and it seems like a great personality...I hope this rough time is jump a bump in the road. my questions are: how long does it take you to get ready? What is your BF (or whoever you are involved with)fashion style? Delmy, i hope u will feel better soon. We want to see u smile again..
Hi Delmy! I've been following your blog for a while now and just wanted to say keep your head up and I will keep you in my prayers as well. Your blog is awesome and you have inspired me greatly. You are so beautiful! Best wishes. Hope all is better now. Stay positive. It will be ok in the end.